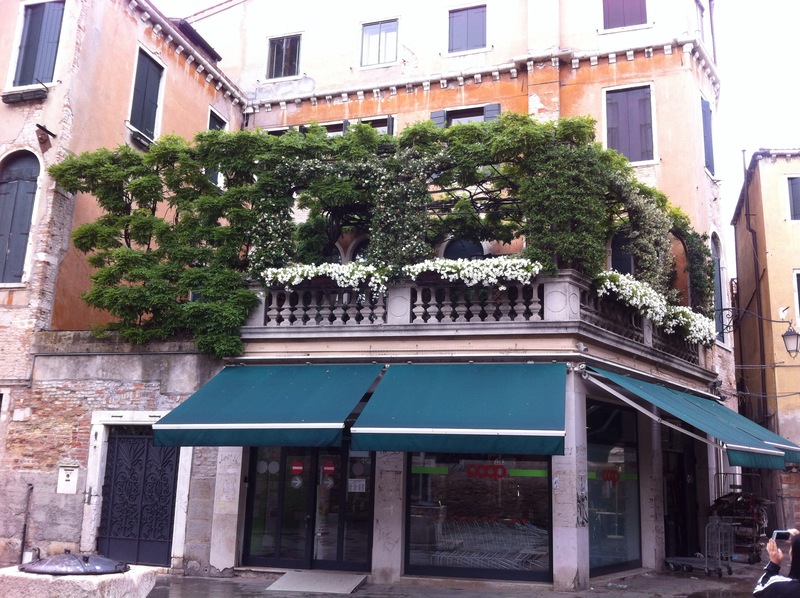 While Venice is certainly a feast for the eyes and mouth, I try to pay attention to what I am hearing as well. The narrow canals and walkways create a peculiar resonance. Sounds are channeled and amplified. This is especially true because there is so little greenery in the city. There are no lawns,and few trees and gardens in public spaces. 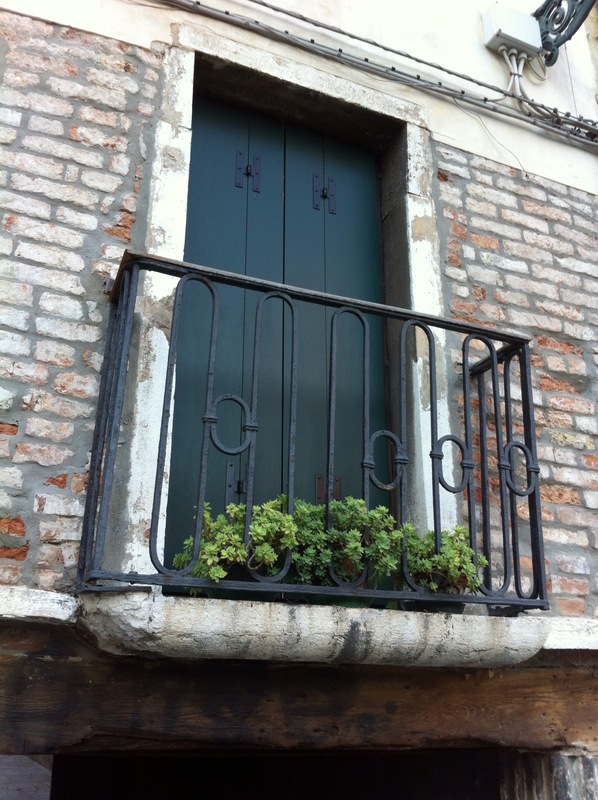 So people plant things anywhere they can find a spot, but that’s often on balconies and rooftops which doesn’t dampen the sound at canal-level. In the morning before the city stirs, you hear individual seagulls crying or groups of them squabbling over choice bits of garbage. 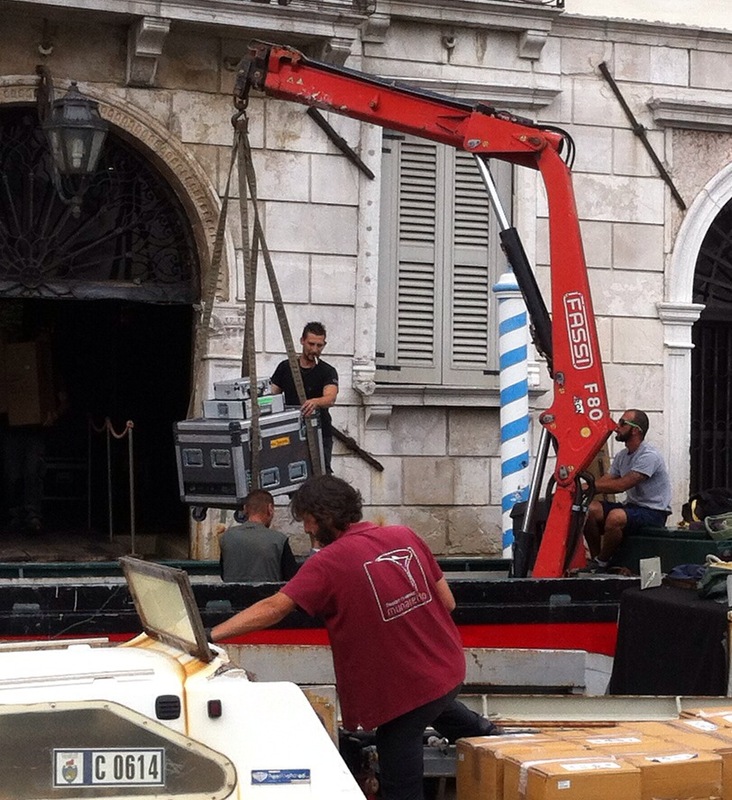 Soon the occasional boat motors past in the canal, no doubt someone delivering this day’s needed supplies to hotels, fresh markets and stores. 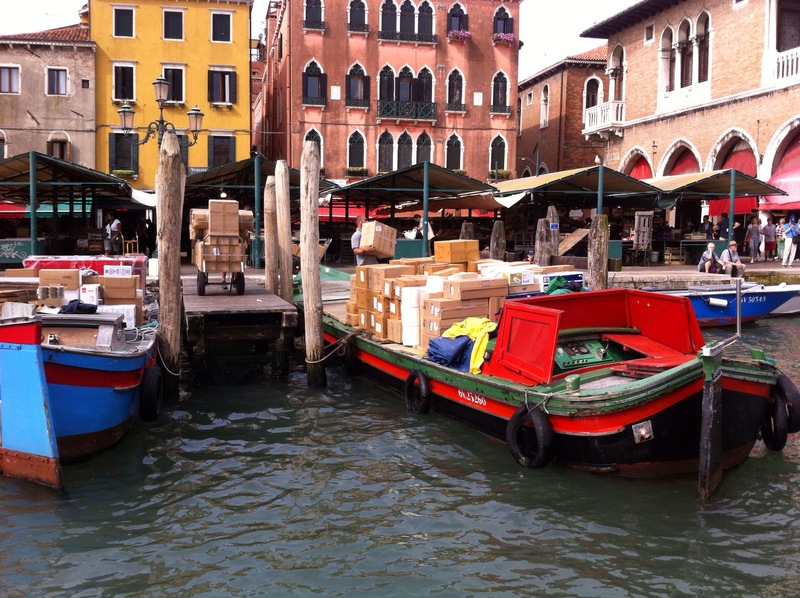 Later, on the bigger canals, the many sounds merge into the song of commerce. But the space is bigger so it is not overwhelming. I’ve been startled by church bells ringing, long loud peals that go on for minutes from multiple churches. Each church bell can ring more than 100 times, certainly not common in other places I’ve visited or lived. These bells evoke a satisfying sense of all being right with the world. 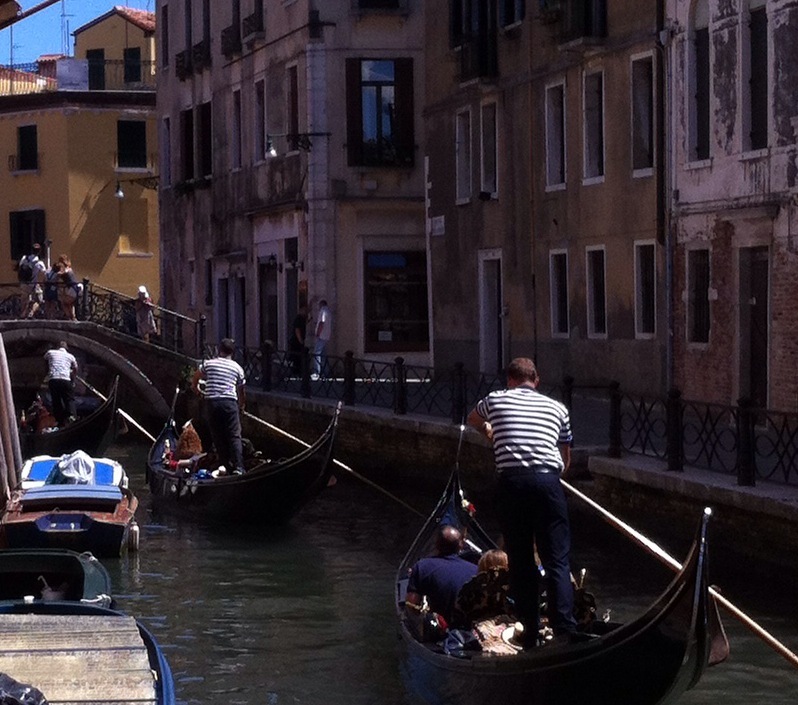 Yesterday, we finally heard a gondolier singing as he steered his vessel down our local canal. 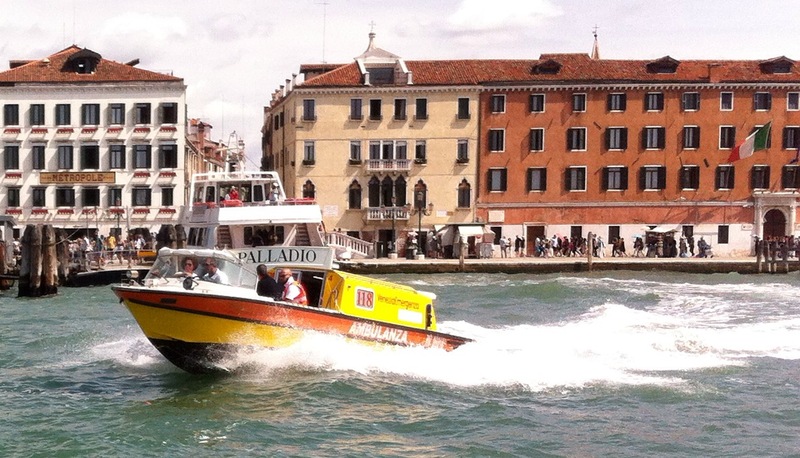 As he and his passengers neared another gondola, the other gondolier joined in, and another. They even sang some harmony! It was a magical moment. Every so often we come upon a campo (small piazza) with a musician playing an accordion or guitar. 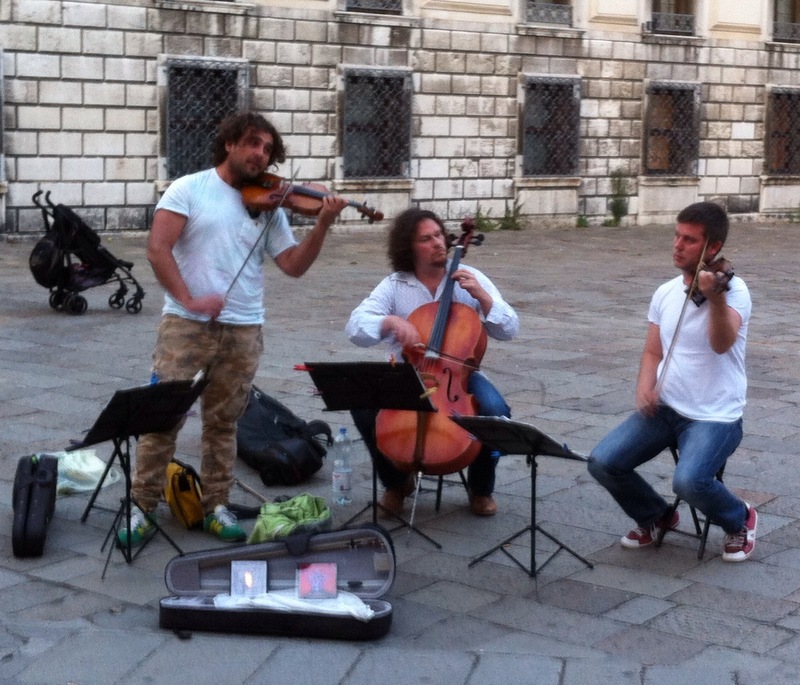 The best was when we came across a string trio playing Vivaldi’s Four Seasons. They were quite good. We stood there entralled for some time, finally giving the little boy in front of us our spare change to put in the trio’s open violin case. 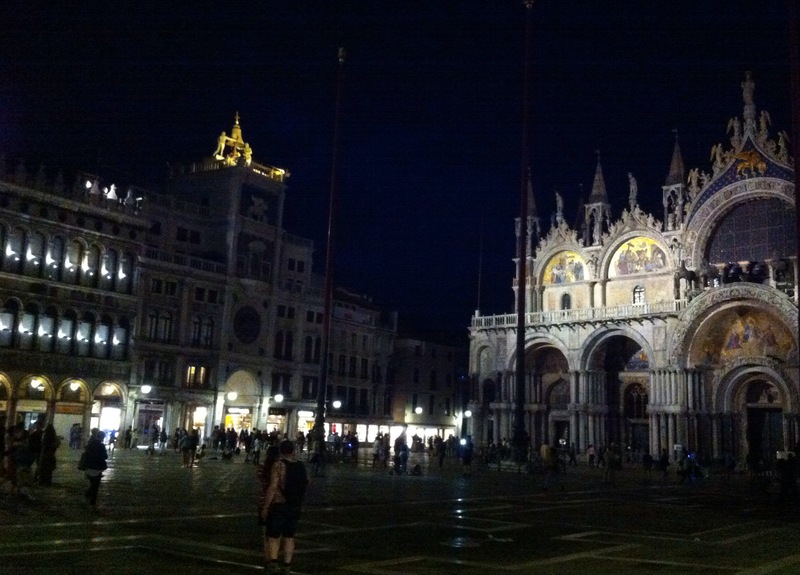 And the night we took the vaporetto to Piazza San Marco, we heard three different bands playing there. Piano, strings, winds, really they were almost small orchestras. But the space is so vast that their music did not compete with one another. 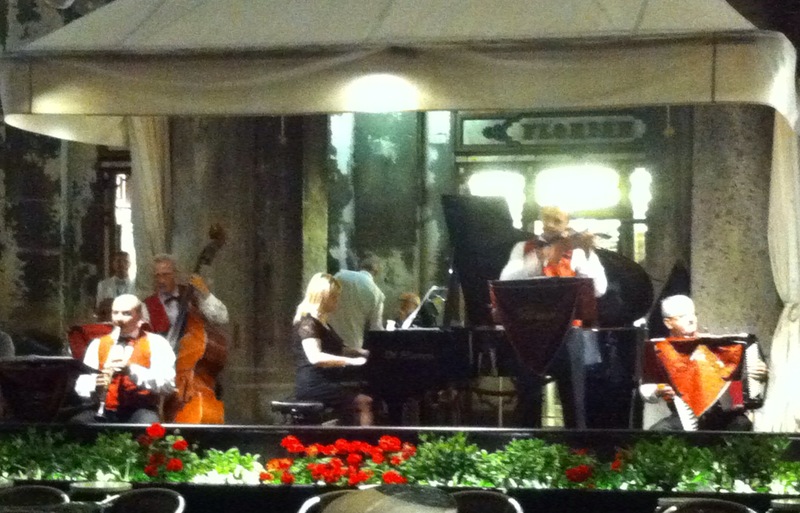 Couples danced, children ran, lovers strolled, all to the sounds of wonderfully Italian music. As I think about it, the best part of all of these sounds is that they don’t have to compete with cars and trucks. 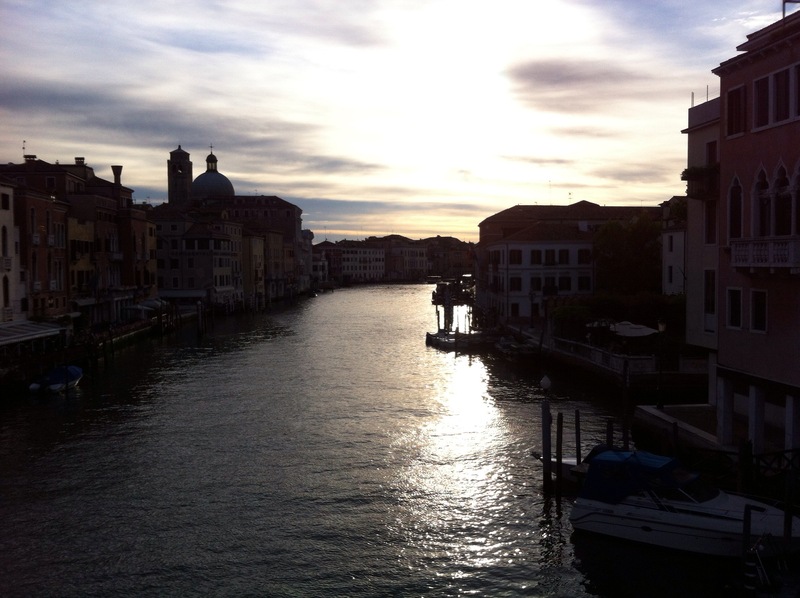 That makes it so much easier to pay attention, be present, to the music of Venice. This entry was posted in Being present, Travel. Bookmark the permalink.